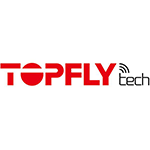 TOPFLYTECH was founded in 2012 IoT company with the clear objective of delivering relevant and reliable products and solution to improve the living and working conditions of people. TOPFLYTECH offers to customers across the world, a variety of telecommunication products and cloud services in fleet management, asset tracking, personal security, smart home and facilitated livings. La gráfica representa la cantidad de conexiones en el centro de servicio Wialon en los últimos 30 días.